We installed a large Water Feature that helped the homeowners feel isolated from the world. 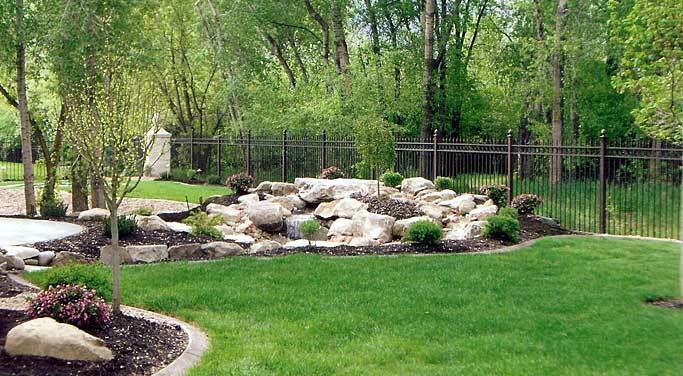 They are able to step outside and hear the running cascading waterfall, making their backyard experience tranquil and relaxing. 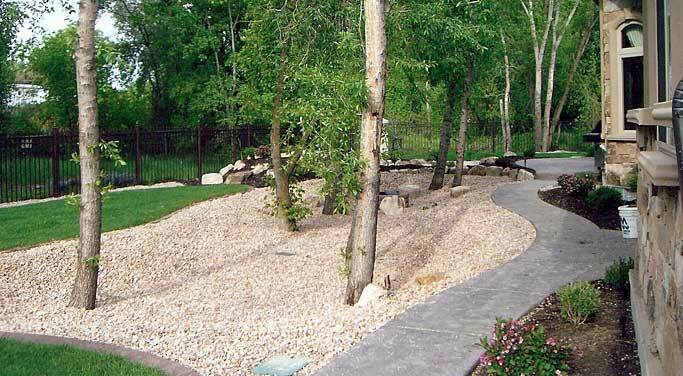 We used screened topsoil, garden mix, and mulch soils/topping in this project. This helps the grass and plant material by adding extra nutrients. 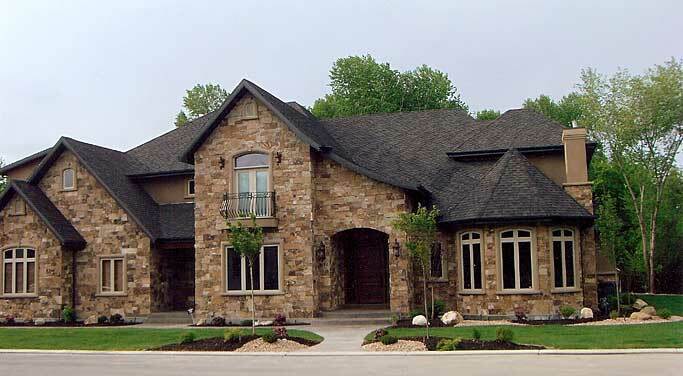 We used Kentucky blue-grass. 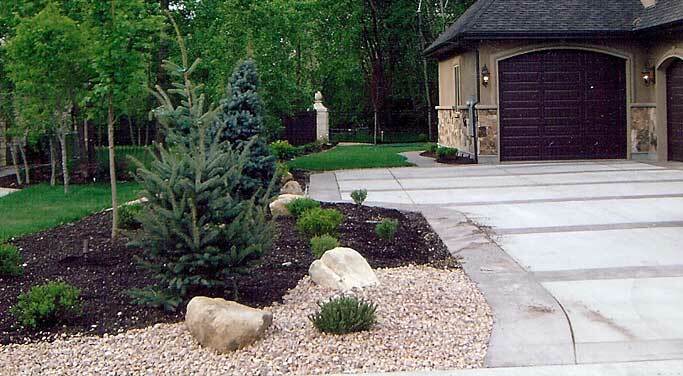 We also used Decorative Landscape Stamped/Colored Concrete Curbing to match the landscapes natural feel and to separate flower beds from lawn area.